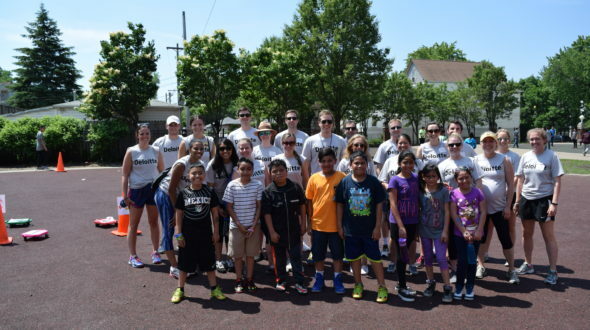 As part of their Impact Day, a group of volunteers from Deloitte joined students at Bateman Elementary for Field Day on June 10. 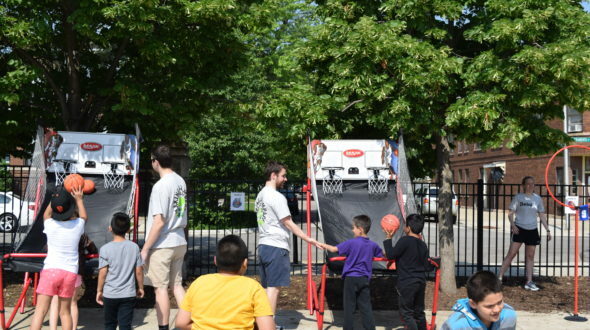 Kids, teachers, parents, and volunteers gathered at the school for a day of shared fun and physical activity. Before the volunteers stepped out onto the playground, they were welcomed by Bateman Principal Georgia Davos-Vetas. There was an array of activities available to the students, who rotated through different stations throughout the morning. 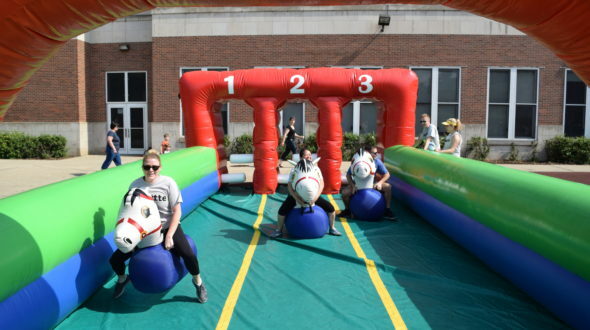 Volunteers supervised–and, in some cases, joined–the students in the inflatable horse races, Mario Kart competitions, kickball games, face painting, and bubble station. Students showed off their temporary tattoos of superheroes and minions from Despicable Me. Bateman’s Field Day even featured its very own DJ, who dropped some beats and spun some cool tunes. The crowd favorite was definitely Silentó’s “Watch Me (Whip/Nae Nae)”, and students took to the dance floor to show off their best Nae Naes. 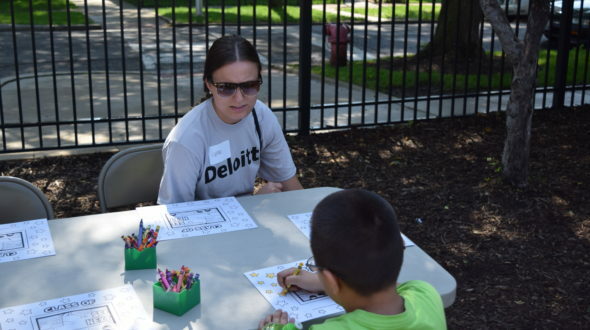 Thank you to our awesome Deloitte volunteers for spending their Impact Day with the students at Bateman!